and provide a cooling effect. the fins will insulate and prevent heat flow. 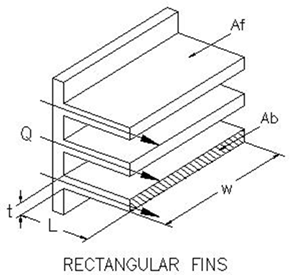 A = exposed surface area of the fins. P = perimeter of the fins. k = fin material conductivity coefficient. Case 1. Fin, finite length, heat loss by convection at end. Case 2. Fin, finite length (L) insulated end.